Breakfast! Is it really the most important meal of the day? What’s all the buzz about getting more protein at breakfast? And does it matter if you eat breakfast the minute you wake up in the morning? 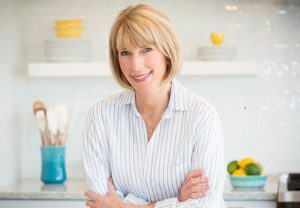 If you’re curious about breakfast or just looking for a few new and nutrient-rich recipes, I’ve got you covered on this week’s Breakfast Benefits episode with guest, Lauren Harris Pincus. Lauren Harris-Pincus is the authority on the science of breakfast. And just in case you’re wondering … breakfast really is the most important meal of the day. It’s true, and Lauren explains why on the show. YOUR BODY RUNS BETTER ON BREAKFAST! 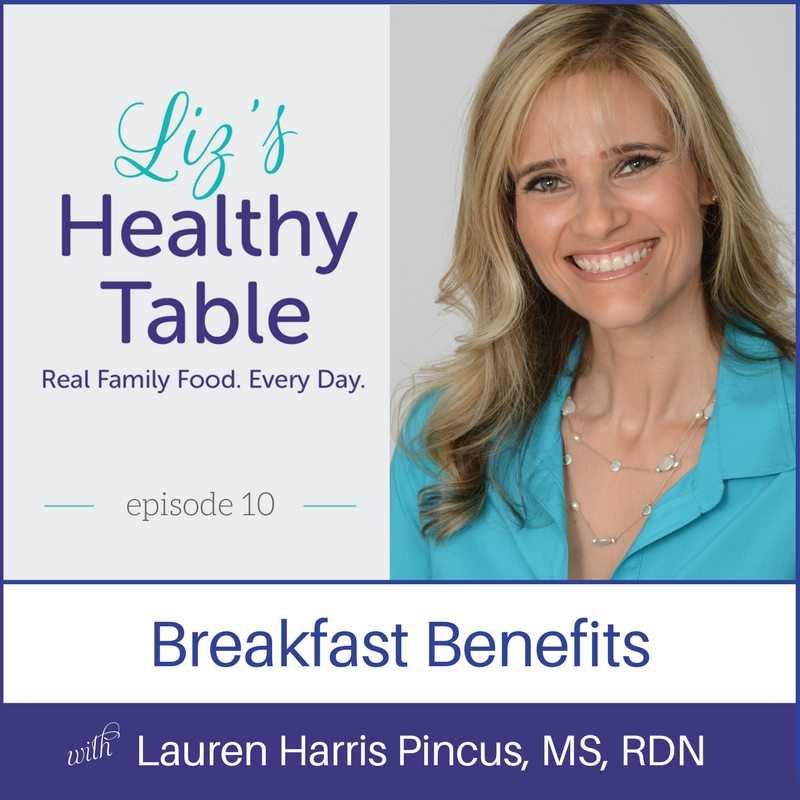 On the show, Lauren explains why eating breakfast is good for your health (don’t skip it! ), why it’s important to distribute your protein intake throughout the day, starting with breakfast, and why kids who eat breakfast do better in school. 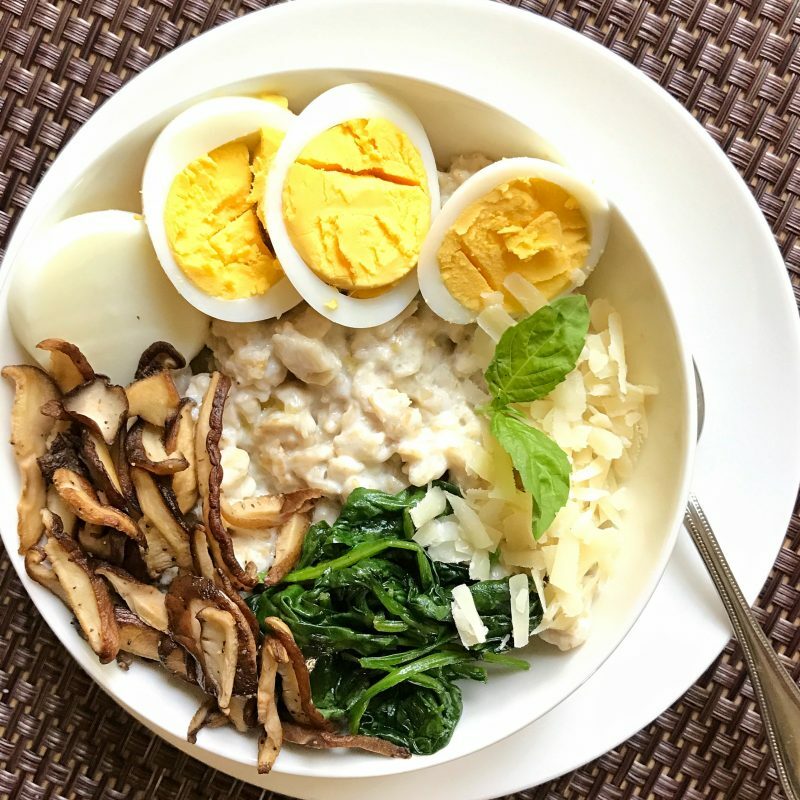 Together, we share our mutual love of wild blueberries, dish about our best-ever breakfast recipes including my new Savory Oats with Shiitake Mushrooms and Spinach, and explain why a bowl of sugar cereal is a no no at breakfast. 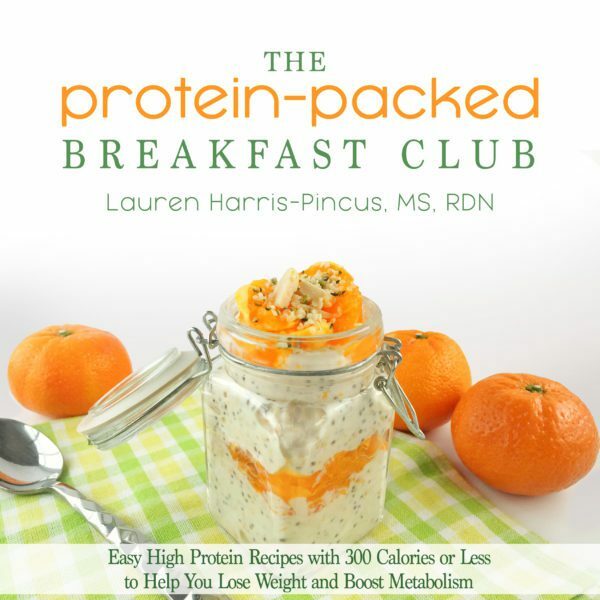 Enter to win a copy of The Protein-Packed Breakfast Club (U.S. only, please) by posting a comment below with your family’s favorite breakfast recipe or tradition … or tell me how you get more protein onto your breakfast plate (or into your bowl). The giveaway ends on September 13th, and I’ll pick the winner at random. Lauren’s childhood struggle with body weight influenced her view of food and nutrition. My Fruit-First strategy at breakfast. Breakfast jump-starts our body’s metabolism and it’s good for your overall health. The cognitive benefits of eating breakfast. Yes, kids who eat breakfast get better grades in school. Tips for adding more protein to breakfast … whether you have a toddler, teen, or anyone in between. Timing your “breakfast” within two hours of waking up. The most common breakfast issue? Not knowing what to eat for breakfast! 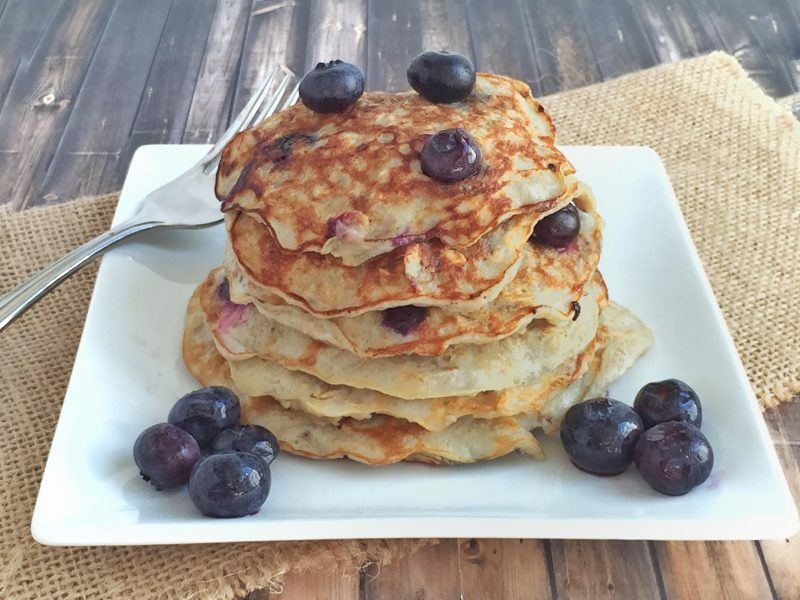 Lauren shares a favorite pancake recipe from her book. What’s the deal with protein powder? Which one is the best for you and your kids? Easy grab-and-go recipes for your teens as they rush to the bus! Pitfalls of the typical American diet. Great episode; and I would love to win a copy of The Protein-Packed Breakfast Club. This is awesome and would be so helpful! My favorite breakfast of all time is french toast. Now I am able to improvise using healthier ingredients so it’s a win-win! Top with some Greek yogurt and berries and you’ve got a winner for sure! I am currently addicted to plain Greek yogurt with a little sweetner, fresh berries, and nuts. So yummy! Awesome! Great podcast with lots of helpful information. Breakfast is my favorite meal. I’ve served baked oatmeal, green smoothies, variety of homemade muffins with fruit and veggies, and eggs. I would love to win this cookbook! I just found your podcast and love it. Where can I find the granola bar recipe that you referenced on the show? It’s on my old blog, but I’m going to add it to my blog now! Stand by…. I would love the cookbook! I have three teenagers who never seem to get enough protein. My favorite way to get protein in on a weekday morning is microwaving an egg. Makes it superfast when I’m on the run to work. I have two teens who are rushed in the morning and never have time for breakfast–I need this book for them!! I’d love to learn how to add more protein to my breakfasts! An old standby is egg in toast/egg in the hole. Every month or so I try a new recipe for breakfasts on the go to stash in the freezer. The latest was bacon cheese muffins with an egg yolk (I don’t have the giant tins that would make room for the whole egg) baked inside. I listened to your past podcast, Meals Makeover Moms, for years. I was a bit worried when you emailed that MMM was ceasing. However, I needn’t have worried; your new podcast is GREAT. I’ve enjoyed each episode. Even though I follow a vegetarian diet I have found many wonderful recipes on your site. I’m always looking for new ways to include protein in my diet and so I appreciated the suggestions from your guest. I like the forcus on breakfast. One of my breakfast favorites is beans (baked/creamy white w/ rosemary, etc) on whole wheat/grain toast. I make. my own pot of beans and store them in the freezer, so I always have some ready to use. Well, I’m SO happy you found me! 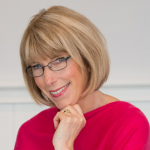 And funny you should mention beans and the freezer because on next week’s show (Sept 13th launch), I interview the author of a new cookbook called, From Freezer to Table. It’s a fabulous cookbook, so I hope you’ll tune in. But wasn’t Lauren Harris-Pincus incredible?! She knows everything about breakfast! Oh, and if you’re enjoying the show, I’d REALLY appreciate a review on iTunes. It will help to spread the word about the new show. A link to iTunes, Stitcher, and Google Play are in the podcast page sidebar. Welcome to LHT!! I have eggs almost every morning. I have discovered that I am hungry by mid-morning if I don’t. It would be great to get other protein-packed ideas. Love pancakes! But most breakfasts are yogurt with berries and homemade granola.. 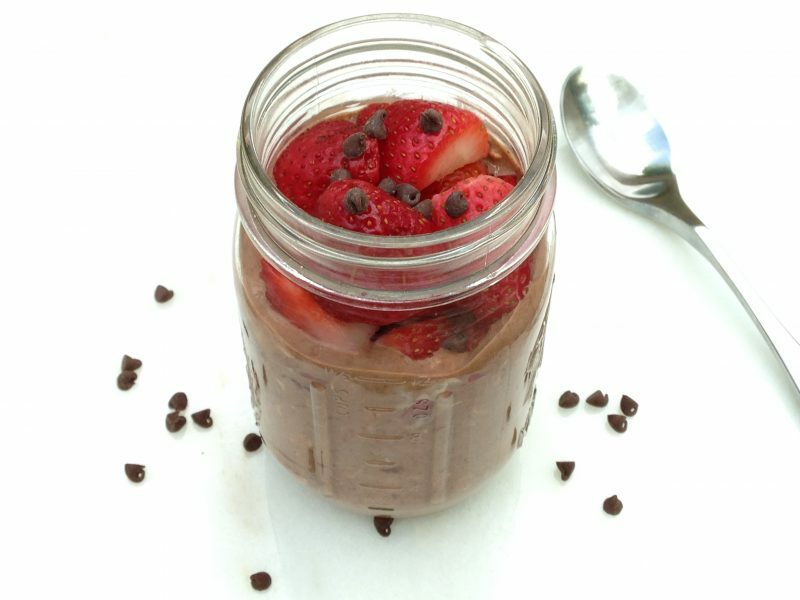 Mix it up in mason jars on Sunday, grab and go during the week. I love those muffins! Have you made my Grab-and-Go Granola Bars yet? The recipe was just posted on my blog, so check it out. And be sure to tune into the show. Lauren has SO MANY ideas!! Egg Muffins!! We love adding different veggies and meats to create new breakfasts. Every week we make a big batch and have them in the fridge to heat and eat on busy mornings. SO convenient and yummy! I add a heaping spoonful of natural, unsweetened peanut butter and some raw wheat germ to my hot, heart- healthy serving of oatmeal to get more protein at breakfast. Can’t go wrong with eggs. I like making some hard-boiled eggs in advance for busy mornings. I’m at a loss when it comes to feeding my picky family breakfast. Although I offer healthy choices— they only like the processed foods. I make almost everything from scratch greek yogurt, nut butters, granola, granola bars and cottage cheese. Thank you so much for your very informative podcasts. Keep them coming. Our favorite breakfast is peanut butter chocolate smoothie. It is made with bananas and no added sugar. Yummy! Yum. Have you tried peanut butter powder yet? For more protein. I have some here and plan to give it a try! Great episode. We dont have a family favorite as we’re a milk & cereal kind of family…atleast we were…cant’ wait to try out some of the recipe’s from the show. I already own a copy of Lauren’s book. We make something different every wekend and pick two days during the week. Most recipes are quick and easy so we can always find something to make on a fast paced weekday morning. Definitely make ahead breakfasts only in our house; a lot of steel cut oats with greek yogurt and nuts, flax and chia added with berries, or eggs and vegetables. Would love some new ideas from this book though!